In short, Kryll is a professional trading platform for everyone to build cryptocurrency trading strategy in a simple, powerful and automated manners. It is a crypto traders community and a marketplace with user generated trading strategies. Using the Wysiwyt™ (What You See Is What You Trade) flow-based technology provided by Kryll platform, user can intuitively create their own automated trading strategy. The platform provides simple logical operators, markets indicators, value triggers, enhanced technical analysis, media opinion mining and deep-learning predictions functional blocks to help build flows and create automated winning strategies. In addition, user can also have the option to benchmark their strategies through real-time sandboxes and massive Kryll back-testing capabilities (250 pairs, 1 second frequency, 6 months data history…). Kryll platform offers the intuitive and visual tools for defining crypto trading strategy. It requires only 4 simple steps to design any trading strategy. Drag n' drop functional blocks to create trading strategies. Proof-test trading strategies with back-testing real market data or sandbox simulation. Release trading strategy that will operate 24/7, night or day. Share trading strategy or use community-made strategies from the Kryll marketplace. 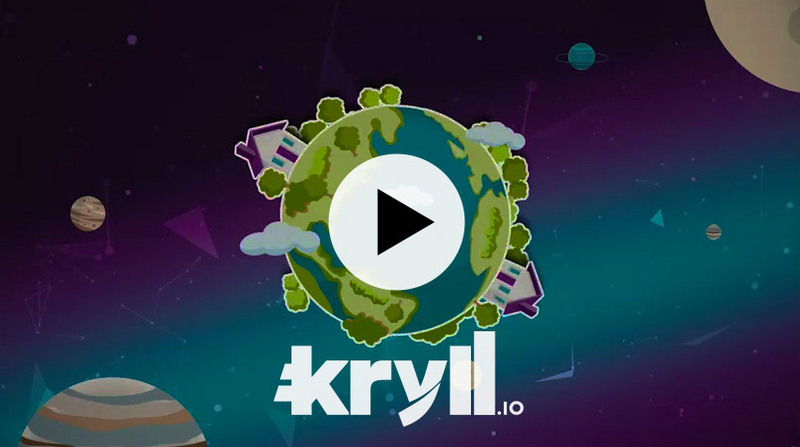 What Is The Purpose of The Kryll Token (KRL)? The KRL tokens are spent on the platform to fuel live trading strategies. The platform will not charge any additional expenses. For example, there will not be any subscription plan, hidden fees, commissions on trade, strategy rental fees and etc. What Exchange Does it Support? Kryll team has plan to support the major and popular exchanges. Kryll platform will connect to exchanges below enabling its users to use the service over its entire portfolio in multiple different exchanges. Kryll team will issue Kryll tokens (KRL) on the Ethereum blockchain. The KRL token is compatible with ERC20 standard and will be issued to purchaser at the end of the Token sale (around March 2018). The early adopter token sales will start from 07 FEBRUARY 2018 to 06 MARCH 2018. There will be (30% to 5%) bonus for those who purchase the token during this period depending on their ETH contribution amount. As for the crowd sales, it will begin from 06 MARCH 2018 to 20 MARCH 2018. Token purchaser will not be eligible for any bonus during this period. The total tokens in circulation if the Token sale hard cap is reached: 220,000,000. The accepted cryptos for the ICO are: BTC, DASH, BCH, LTC, ETH, ZEC. By using Kryll platform’s simple, reliable and automated 24/7 trading tools and strategies, it is undoubtedly saving crypto trader’s a lot of time. They can unleash the strategies to set the live-trade on behalf of them, buying and selling at the right price and time, as if they were following the market 24/7. In addition, crypto traders can also benefit from the community’s hive-mind by picking and reusing the best user-created trading strategy out of the marketplace, and collectively getting the best returns within cryptocurrency markets. To learn more about Kryll.io, visit their website or join their Telegram chat group.